What is a Land Grant? “Student focused, land grant, research university” may be North Dakota State’s main slogan, but what does being a land grant university entail and what is its historical significance? Land grant universities were established by the Morill Acts of 1862 and 1890. The original bill, sponsored by Vermont Congressman Justin Morill, was signed into law by President Abraham Lincoln in 1862. Land grand universities were initially established to provide an education in agriculture and the mechanical arts. Presently, each of the 50 states as well as the District of Columbia and various United States territories are home to an 1862 “Land Grant” University. The North Dakota Agricultural College in Fargo was established in 1890. The NDSU archives state the law creating NDAC was passed during the first session of the Legislative Assembly of North Dakota. 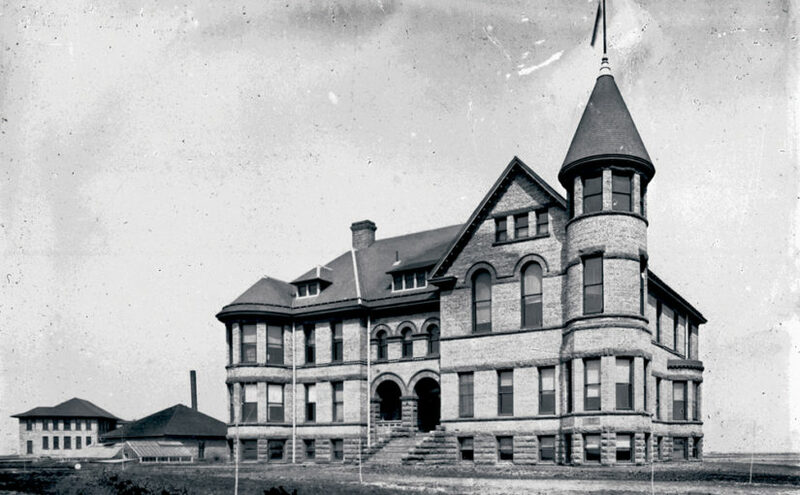 In January of 1892, a mere 123 students began their education at the NDAC. This institution is today known as North Dakota State University, following a name change in 1960. Land grant universities are significant as they increased accessibility to a higher education, a privilege previously reserved for the wealthy and socially elite. “Land Grant universities were established to provide education for working class people,” said Raezer-Stursa. Congress saw land grant universities as a means to increase efficiency of agricultural systems and prepare people to become successful in manufacturing and mechanics. Education in these industries would lead to further innovation and play a substantial role in the economic development of the nation. Coston’s article stated that in addition, the Morrill Act intended curriculums to be both liberal and practical by providing students with both a broad background in various disciplines of human understanding, and in ways to make a living. Today, land grant universities continue to fulfill their purpose of offering a practical education to millions of students across the nation. NDSU maintains strong programs in agricultural and mechanical arts, as well as other academic disciplines beyond the original mission of the land grant university.